When Butch + Babe's opened in Burlington in January 2015, the concept was ambitious. 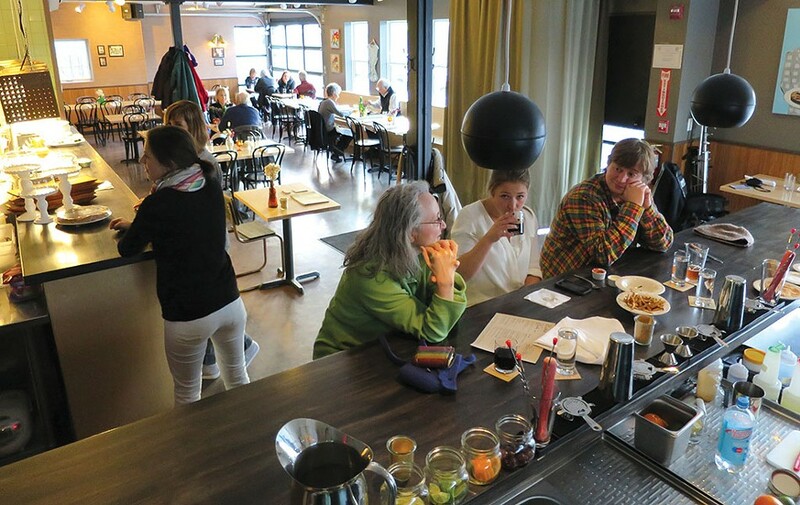 Named for owner Kortnee Bush's grandparents, Rich "Butch" and Marlene "Babe" Lelko, the restaurant strove to straddle the line between beer-forward neighborhood pub and multicultural eatery. Its food would reflect Bush's midwestern heritage, her chef's Thai roots and the Old North End community — one of Vermont's most ethnically diverse. It's a tall order, but one that chef Narin Phanthakhot handily fills. Trained at the New England Culinary Institute, the Bangkok native honed his skills at some of Vermont's hottest high-end restaurants. In an airy room appointed with a mix of pop art (a visage of Pee-wee Herman looks over the dining room) and homey tchotchkes, diners can watch the chef and his team in action. The kitchen is open and remarkably civilized — no cursing here. Phanthakhot's ever-changing menu is a worldly one: One night, the chef might offer deep bowls of glassy noodles swimming in savory, cilantro-tinged broth, or sweet griddle corn cakes with spicy aioli. Or perhaps a crisp kale salad, stained yellow with runny egg yolk, or peppery pork patties on a mound of white rice and zingy Napa kimchi. Meanwhile, folks seeking something more all-American can snap into a succulent Chicago-style hot dog or a juicy local beef burger, tucked between slabs of springy focaccia. And don't even think about skipping the fries — the accompanying spicy ranch dipping sauce is the purest distillation of midwestern flavor. Weekend brunch is a cultural melting pot: baked eggs over bacon-cheddar grits; biscuits topped with fried egg, pork patty and Korean barbecue sauce; hot dogs rolled into kimchi croissants; mac-and-cheese pancakes; and from-scratch doughnuts and Pop-Tarts. 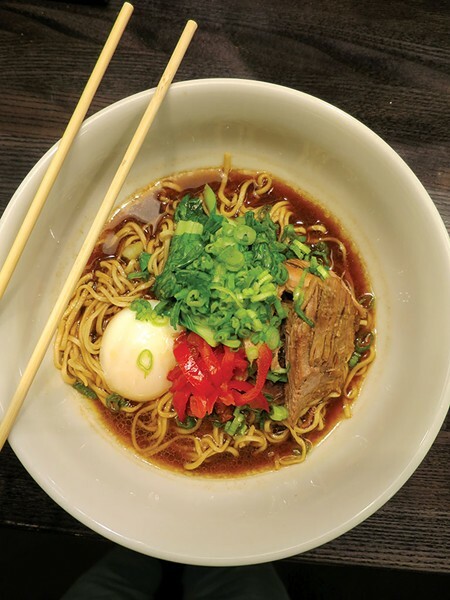 Connecting the Pacific Rim with Middle America, Phanthakhot's fusion cooking is unique to Burlington and makes Butch + Babe's the rare restaurant that truly offers something for everyone.